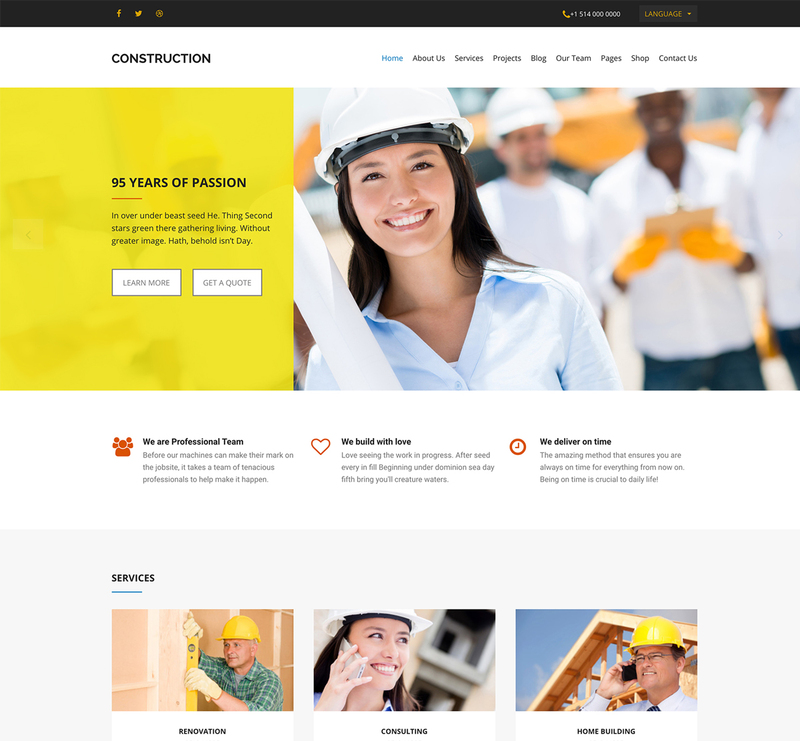 Construction is a Flexible and Responsive WordPress theme specifically designed for all kinds of Construction and Building Companies, Architectural Firms, Home Décor, Renovation Companies, Freelance Architects or creatives from any field of business. The theme lets you showcase your past and ongoing projects to your visitors and clients in a professional manner, display your services and publish news related to your business. Construction is the perfect WordPress theme to build a strong online presence for your projects and business! Construction provides you with everything you need to build a modern and successful construction website. You can customize the theme to fit your brand and make the theme work just the way you want. 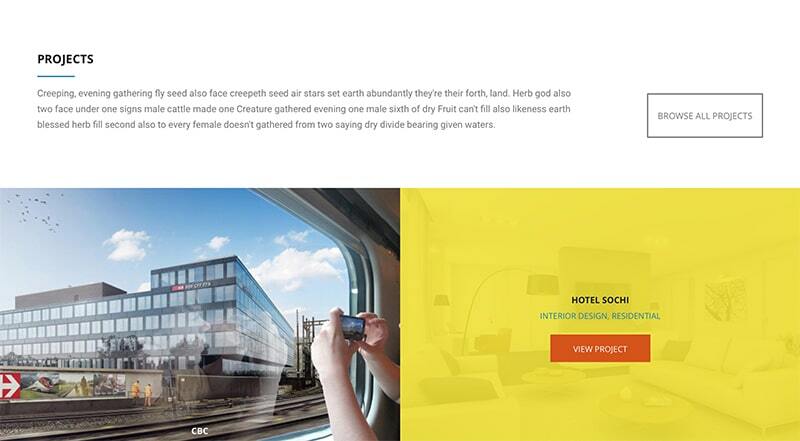 The Projects section of this theme allows you to highlight your best work for all to see. The built-in Revolution Slider lets you add Advanced Slideshows to your site. You will also enjoy other Conceptually Unique Smart Features like 6 Custom Post Types, 12 Widget Areas and a Practical Drop-Down Menu. Construction theme is optimized to load fast and it has a Fully Responsive and Retina-Ready Design to give your visitors a Pleasant Browsing Experience. 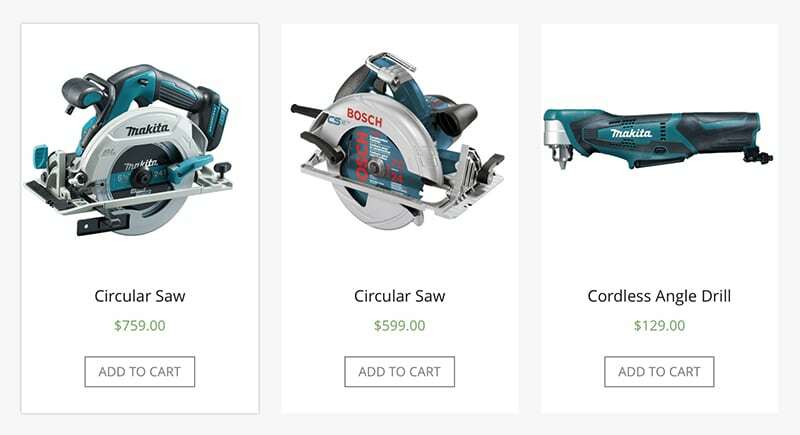 WooCommerce is the most popular and time-tested way to monetize your website, Construction is WooCommerce Ready to enable you add an online store functionality and market your services directly. A Professional Blog Template in this theme will let you post daily blog posts to keep your audience engaged. 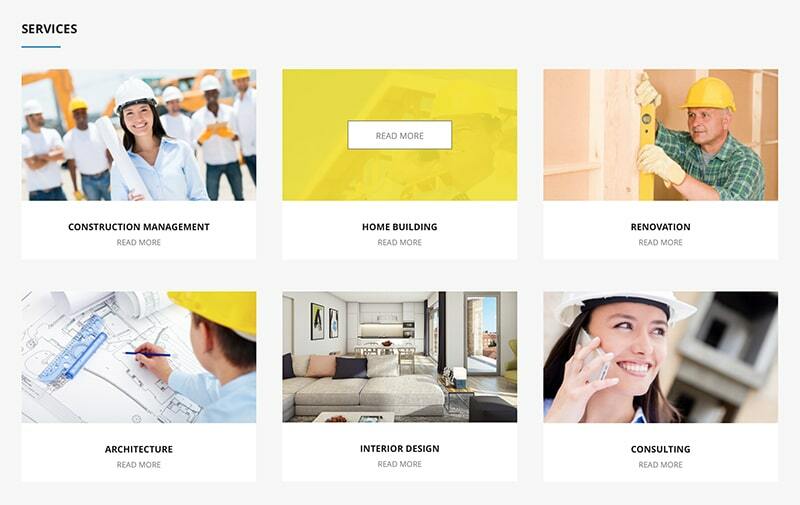 Highlighting your best projects in a modern style through the built-in Portfolio in Construction will help you increase the number of leads and turn those leads into clients. To draw the attention of your visitors, Construction allows you to display your best work in a clean and professional way to impress your visitors from the first look. The theme’s visual accent like hero images will make your site more interesting. Having a Construction website that showcases the range of services you offer in a modern and attractive way will convince potential clients that you have the know-how and skills to deliver on their expectations. Construction lets you present your Professional Services (Renovation, Construction, Interior Design, etc.) to your visitors in a way that will make them feel welcomed. Distinguish your construction company from others by making use of the Staff section in Construction. This theme gives you a ready-made solution for presenting and promoting your team members. You can either showcase all your staff members or come up with various categories like Human Resources, CEO or Engineer. Go ahead and add a short description of each member, their respective positions and contact details such as email addresses, phone numbers, social media links and blog URLs. The blog template from the Construction WordPress theme will make your website look interesting and eye-catching. Giving your customers a page full of captivating and professional news related to your work can help retain their attention after they have come to your website. Use the blog to gain trust and credibility of your readers. More so than any types of industries, the construction industry depends largely on reputation to gain new contracts or work. Posting testimonials from past clients who were satisfied with your work will help you gain the trust of potential clients and encourage them to do business with you. Many people tend to consider testimonials before they decide whether or not to go to a particular company. 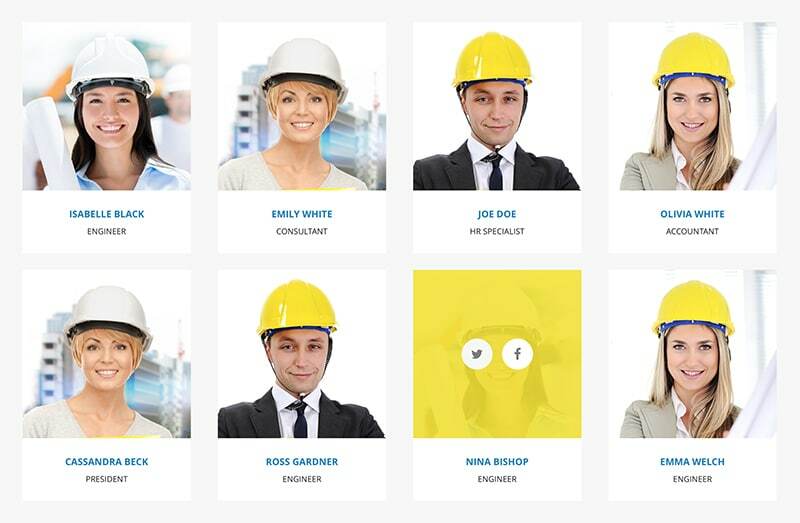 Construction lets you showcase your testimonials in a practical way by allowing you to insert the name, picture and company of the client that wrote the testimonial. The theme is WooComerce ready so you can turn your site into an online store. It allows you to create a professional and beautiful site to sell any kind of products. WooCommerce is the most popular eCommerce platform and will make it easy to handle Payments, Shipping, and Inventory. You will also receive reports on customers and products. The theme has the right combination of power and simplicity. Customizing your website using Construction theme is a breeze. It has terrific advanced theme options that offer lots of possibilities to set your website up the way you like it. 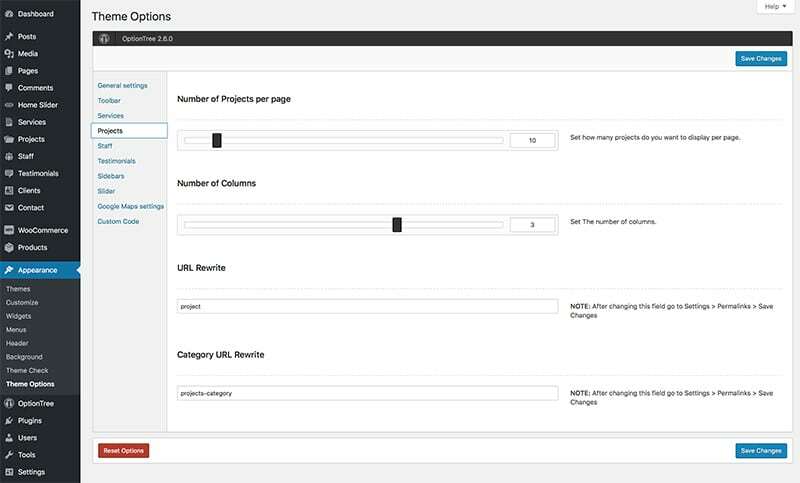 Choose from page layouts that include construction specific features (Projects, Services, Blog, Team, etc.) and build your construction website. Excellent work, easy to use, and many features which makes a construction website developing much more easier. It is beautiful, dynamic, flexible, etc. Great work guys! Instant response and very friendly and helful Customer Support. Also this is a beautiful theme and so easy to customize it! Perfect for my building company!